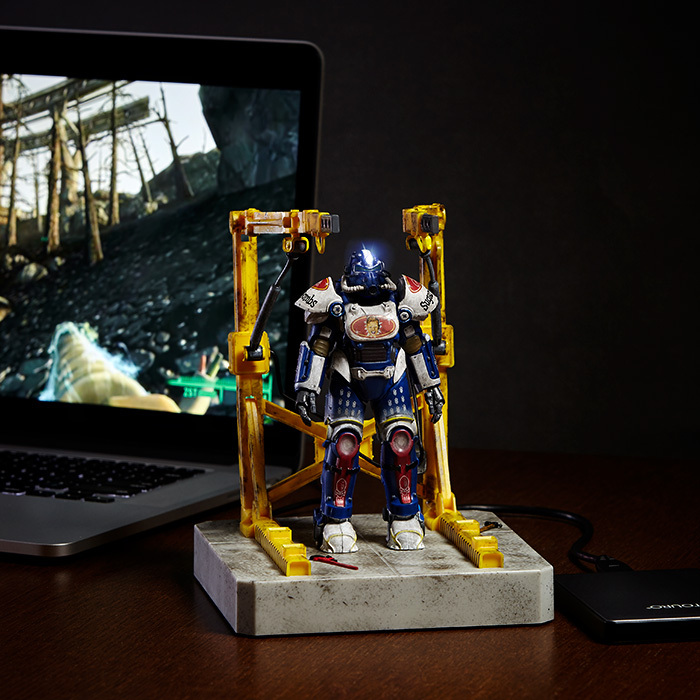 The Fallout-inspired charging hub is for the vault dweller that has a lot of gadgets but wants a taste of the wasteland world outside. 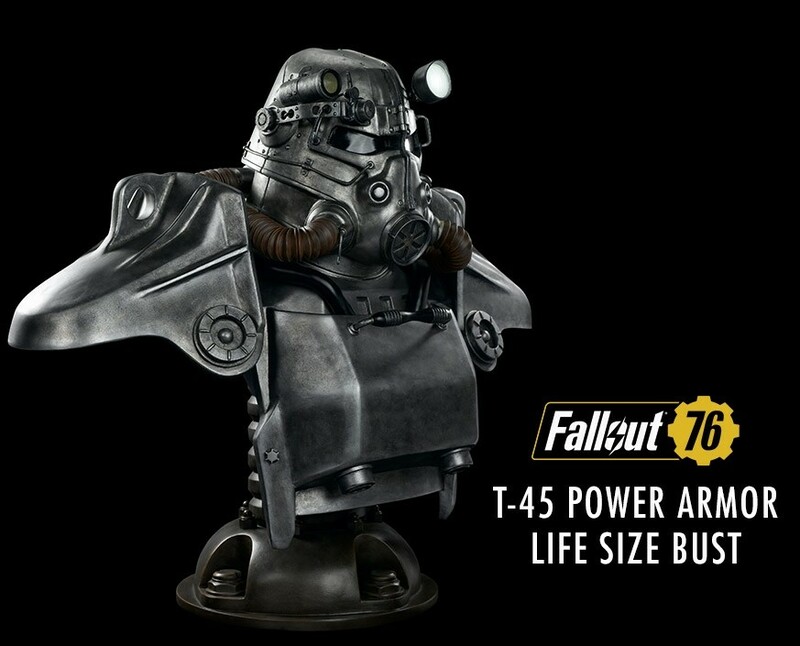 It’s a very cool replica of a suit of power armor from the game, just much tinier and lighter. 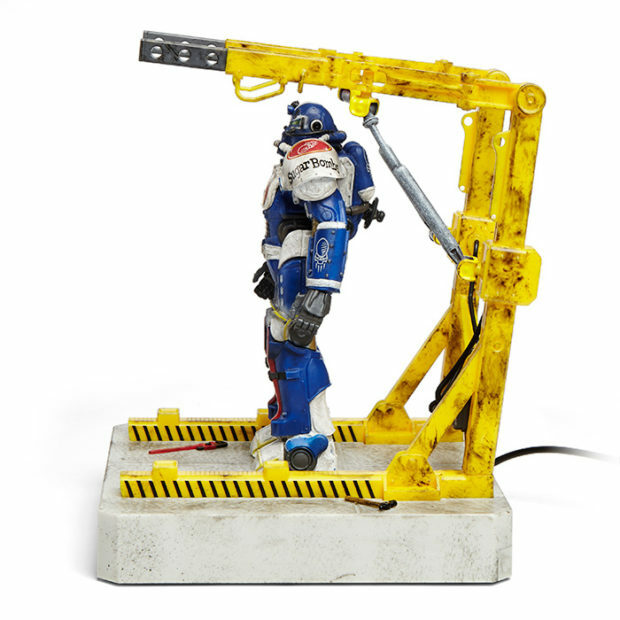 There’s no fusion core required to power it up. This hub really is the bomb. 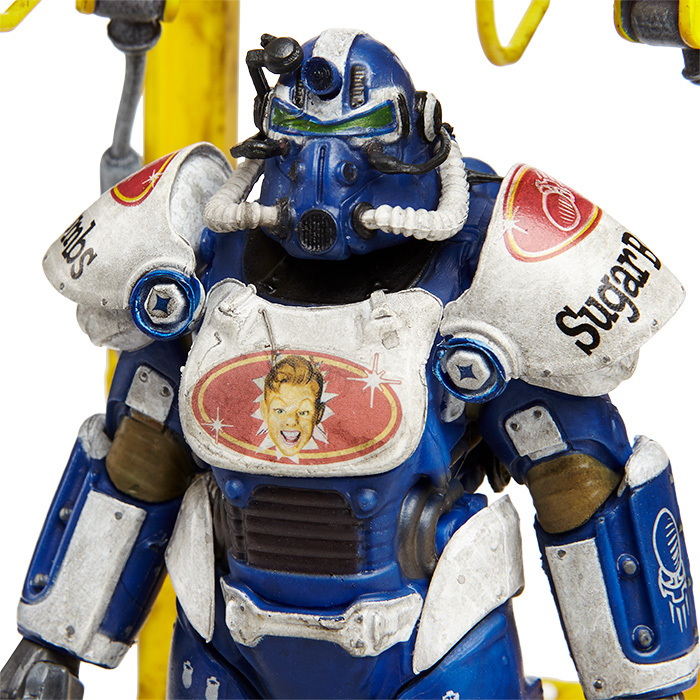 It’s the perfect office accessory for Fallout fans and the Sugar Bombs cereal theme makes it extra cool. 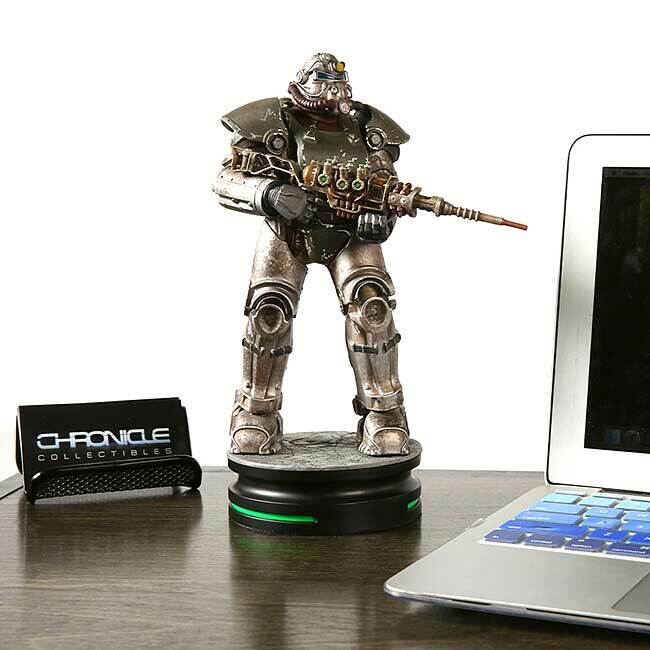 But aside from being a good looking replica of the T-51 with its power armor station, it’s also a USB hub with four ports. If you add an AC adapter you can plug it into a wall outlet and it will charge up to four of your devices at the same time. The rest of the time it’s just a cool desktop figure that you can admire. The headlamp even lights up when unit is plugged in and flashes when charging. The Fallout 4 T-51 Sugar Bombs Power Armor USB Hub measures 8″ tall, and its base is 6-1/4″ square. 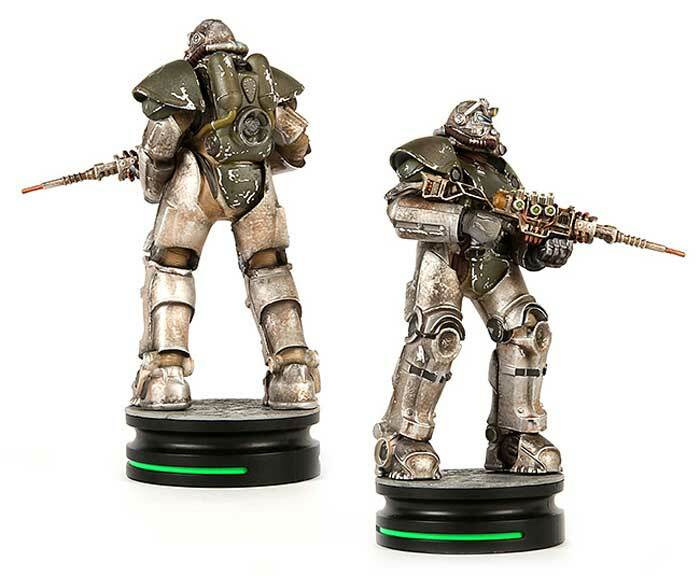 It’s available now over at ThinkGeek for $89.99. Fallout 76 is here, but there’s a big divide among fans. Some like this new take on the franchise, while others feel disappointed, even betrayed. Many wanted a simple new Fallout game, not a new version that does something different. Well, Bethesda can always improve it with updates. Speaking of which, the first post-launch update is here, and it’s massive. The patched game weighs in at a whopping 47GB, which is nearly as big as the entire game. You’ll need plenty of bandwidth to grab this update, so if you plan on playing over Thanksgiving, you’d better start downloading today. Bethesda says that future patches will vary in size, but they should not be as big as this one is. They made a few changes to fix in-game freezes and performance issues, and to bolster the stability of the servers and the game client. Other fixes address a wide range of things, from enemies and crafting to quests and more. Respawning after being killed in PVP combat will now clear your hostile status. There are also fixes to PVP’s Seek Revenge mechanic, regarding displaying accurate Cap rewards when either hunting down a player who killed you or killing a player who is seeking revenge. There have also been some changes to crafting and workshops like preventing blueprints from breaking into smaller parts when you log out. A bug that would return items to a broken state after they had been fixed has also been addressed. You can read the full list of patch notes on the Bethesda website. So no matter what you think of the game, it’s good to hear that Bethesda is already working to make it better. 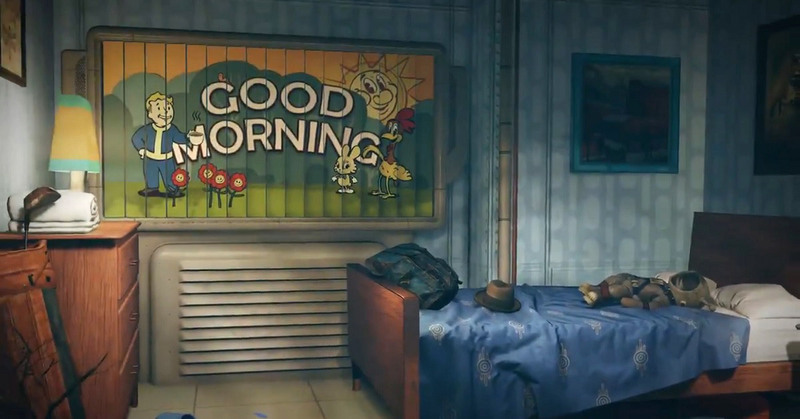 Fallout 4 Shower Curtain Makes Showering S.P.E.C.I.A.L. 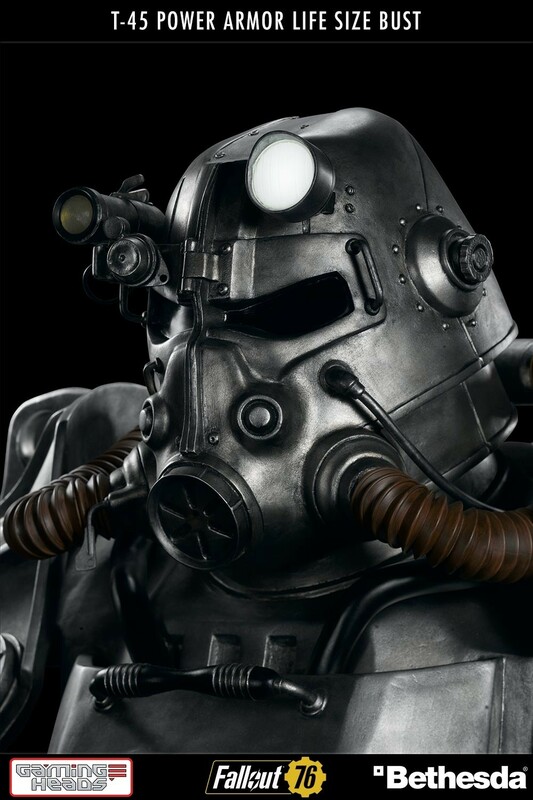 Fallout 76 is almost here. What are you going to do to pass the time until it’s in your hands? I know what I’m going to do. 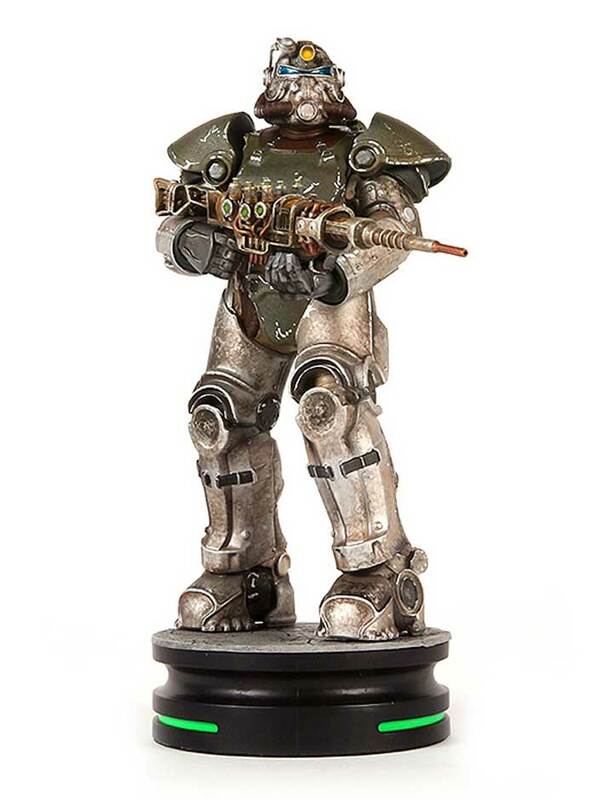 I’m going to sell a kidney or two, and get myself this awesome Fallout T-45 Power Armor Bust. The bust is life-size, measuring almost 35 inches across and 30 inches tall. 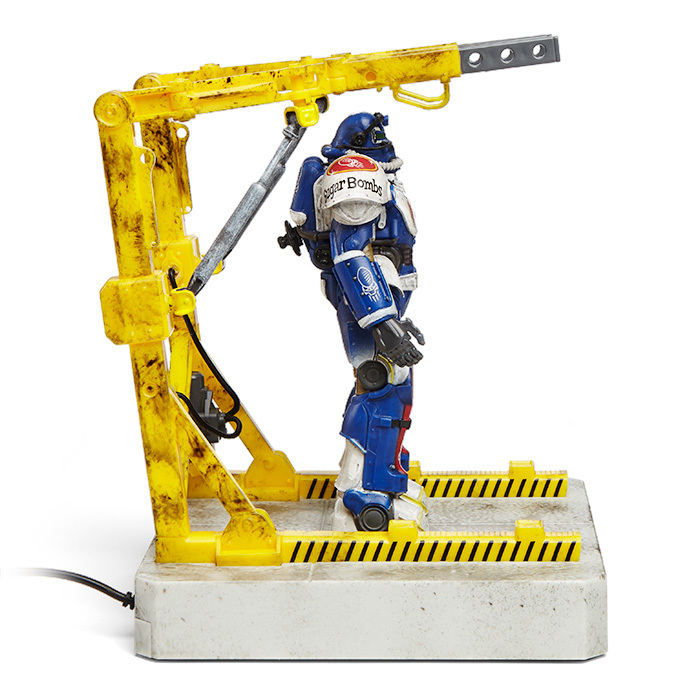 It is made of polystone resin and hand-painted to get every detail screen accurate. 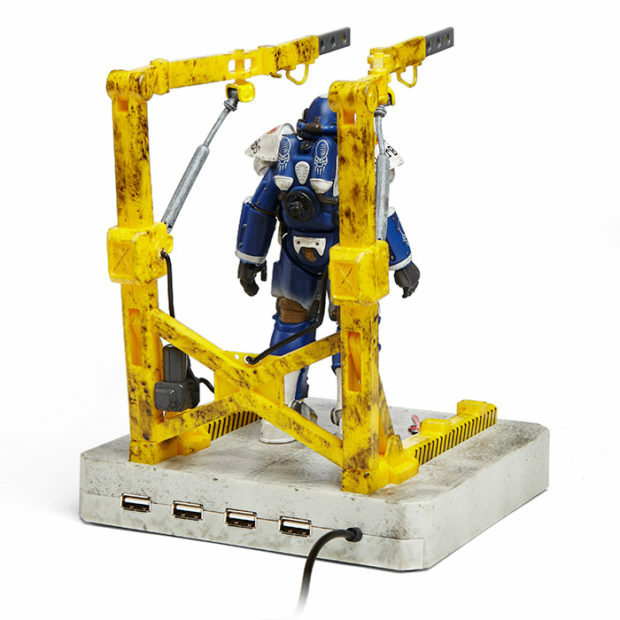 Speaking of accuracy, this bust also features a battery-powered LED headlamp. It is as heavy as it is big, weighing in at just over 52 pounds. That polystone is heavy! 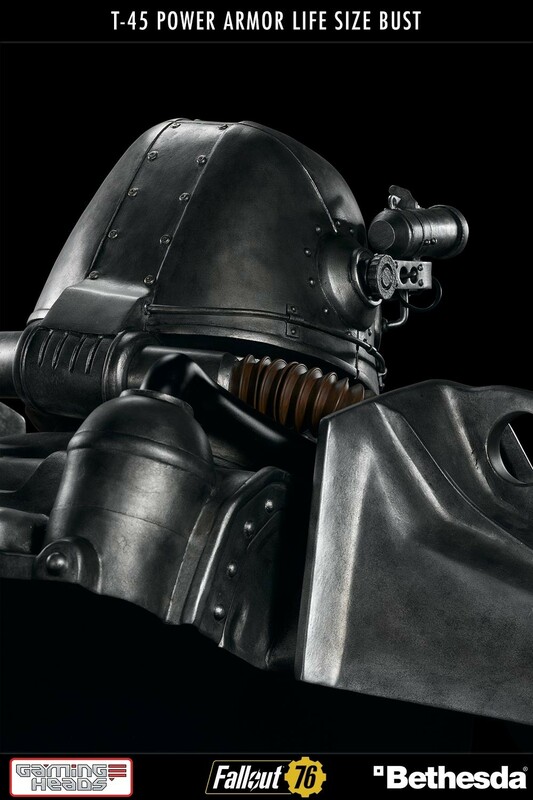 But not as heavy as real power armor would be though. There’s no release date yet, but they are expected to ship out in the third quarter of next year. You probably already guessed that it is also expensive – at $1,299. Yep, that’s a lot of bottle caps. So you better start drinking lots of Nuka Cola. If you want one you better hurry though. This is being produced in a limited edition of only 500. The game itself will be out long before you get your lifesize bust. Fallout 76 is set to release on Xbox One, PlayStation 4, and PC on November 14, 2018.